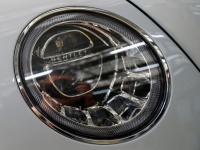 CREWE, England (Reuters) - Loss-making carmaker Bentley is on track to be profitable this year but a no-deal Brexit puts that at "fundamental risk", its boss told Reuters, adding that the chance of Britain leaving the EU on March 29 with a deal now seemed "fairly low." Britain, the world's fifth largest economy, is due to leave the European Union, the globe's biggest trading bloc, in 66 days but the government's negotiated deal was rejected by lawmakers, leaving open the possibility of a disorderly Brexit. The car industry, which employs over 850,000 people in the country, has warned that any tariffs and customs checks would hit firms such as Bentley's parent company Volkswagen as it both exports from Britain and imports vehicles and components. "It's Brexit that's the killer," he told Reuters. "If we ended up with a hard Brexit... that would hit us this year because we do have a potential to get beyond break-even to do the turnaround." "It would put at fundamental risk our chance of becoming profitable." "We will build more cars for China or the U.S. than we would normally do in the six-month period," Hallmark said. "Carry more stock, and it's a few million (pounds) per year ... If we had to stop production, then that would be a similar value per day," he said. Hallmark said were three possible outcomes on Brexit: a deal by March 29 which has a "fairly low" probability, no deal with "a degree of unrest and chaos" or an extension to Britain's EU membership. German automakers BMW , Daimler and Volkswagen made around 40 percent of the 2.37 million cars sold in Britain last year, with less than 10 percent of the total built in the country. Of the top 10 automotive plants which export the highest proportions of their output to Britain, seven are in Germany, including Ford (NYSE: F) in Cologne, PSA in Eisenach, Volkswagen in Ingolstadt and Mercedes in Bremen, according to data compiled by LMC Automotive. Britain's Brexit negotiators have pointed to the car industry as an example of where the EU would lose out if there were new trade barriers, a source close to the matter told Reuters last year. "You can never say never but there's no intention of moving what we have to other facilities because of Brexit," he said. "When we look at new products, are they under question? Of course they are like every product that is in there was under question ... We have to be competitive and we are."